What are the Qualifications for a Business Loan? How Does a Bank Calculate a Business Loan? How to Calculate Business Loan Eligibility? How Much of a Down Payment Do I Need for an SBA Loan? How to Calculate Loan Capital in Business? What's the Best Bank for Business Loans? How are Business Loans Calculated? Is Business Loan Interest Calculated by the Year? What is the Average Interest Rate on a Small Business Loan? What is the Average Small Business Loan Amount? How to Calculate Debt Coverage Ratio for Business Loan? How to Calculate APR on Weekly Business Loan? What is the APR on a Business Loan? How to Calculate Interest on Car Loan for Home Business? How to Calculate Payments on a Business Loan? How to Calculate Net Worth Business Loan? What is the Average Term of a Business Loan? What is a 504 Loan Program? How Long can You Get an SBA Loan for? How Do I Calculate a 504 Business Loan? If you own a small business, you’ve probably had to apply for financing in the past. Business loans are one of the primary ways that individuals obtain finance for various business related expenses. But finding the right lender and loan can be a difficult task. You don’t want to end up obtaining finance that is too expensive for you to afford. It can end up impacting your bottom line far into the future. Comparing interest rates and fees is one of the best ways to make sure that you’re getting good value. But lenders often make it hard to figure out exactly how much a loan costs. If you don’t want to waste time talking to each individual lender every time you want to compare a loan, you can use a calculator to do it instead. Countless business owners use business loan calculators to get rough estimates regarding how much financing will cost them. 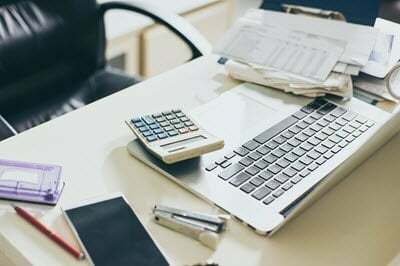 This guide has been put together to help individuals who are trying to decide on which business loan calculator to use. It can be a difficult decision if you don’t understand the industry, so make sure to read through all the information provided to try and determine which calculator is right for you. Remember, you can try a few different calculators if you want to take away the bias that any one calculator may have. We will also provide some reviews of some of the most popular calculators currently available. So, you may be wondering why loan calculators are important when you can simply ask the lender what the cost of the loan will be. While making sure you know the cost of a loan before you agree to it is important, it’s also important to make sure that you have a ballpark estimate before you begin discussions. It’s not as simple as you think to ask for the total cost of a loan, but why? The reason comes down to credit checks. Every time you want to get a quote for a business loan, either your personal credit score or your business credit score will undergo a credit check. Every time your credit is checked, a credit inquiry is recorded on your credit report. This helps lenders get a better understanding of how much financing you’re applying for. It also results in your credit score being lowered. Unlike insurance policies, where you can ask for quotes without repercussions, loans do have an impact on your score. That’s why loan calculators have become so important in the lending industry. There are two primary types of business loan calculators. It’s important to understand the advantages of each type, as well as the drawbacks that may deter you from using them. In this section, we will further explore these two types of calculators to try and give you a solid understanding of what you’re working with. 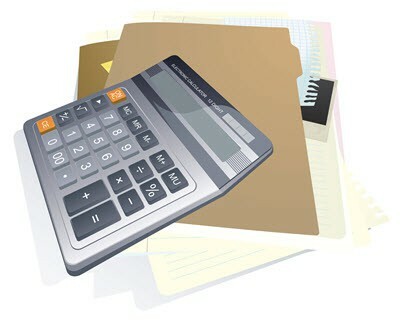 Lender calculators are business loan calculators that are provided by lenders. If you head to some business loan websites, you may find that they have a calculator that can help you quickly estimate how much a business loan will cost. These calculators are very convenient to use, as they are often located directly on the website of the lender that you’re considering working with. The problem with lender calculators is that they can sometimes be a bit biased. They may favor the lending structure that the lender is trying to use. Or they may show positive results to help lure you into applying for finance. Either way, it’s important to recognize that some of these calculators may be dishonest. Be wary when trying to use lender calculators to determine if you’re getting a good deal. Independent calculators on the other hand are made by calculator companies and other developers. You’ll often find these calculators on websites that build calculators and other types of software. The great thing about independent calculators is that they are typically much more in-depth than other forms of calculators – developers tend to have no reason not to include every component of a loan. The downside of this type of calculator comes from the variation involved. It’s hard to see which type of independent calculator is best, as many of them are different. That’s why it’s important to tread carefully in this space. When you’re trying to decide on a calculator to use, it’s important you know what to look for. You don’t want to waste your time with a calculator that doesn’t have the components you need. Below we will explain each feature of the calculator that should be included, as well as why the feature is important to the success of the calculator. The principal balance of the loan is the amount that you have initially borrowed from the lender. This is the amount of money that you will receive once you finalize the loan. This will be the starting balance of your loan prior to making any payments. This is the most important component of any calculator. The interest rate is the percentage of cost that you will accumulate on the loan throughout the duration of your borrowing. This is the total amount of time that the loan is paid back over. This will determine how much your monthly payments are. The shorter the term, the higher your payments will be! Most loans will be monthly, but some business loans vary. That’s why it’s important to have information on how frequent your payments are. This will have a huge impact on the way that your loan progresses. Many lenders will charge an origination fee when you begin the loan. This is often done as a percentage of the loan, but can also be a flat fee in many cases. Make sure to include this in any calculation. Make sure that you have a way to include other fees or charges. Many lenders have other fees and charges associated with their financing – it’s important to consider these costs. Determining your amortization amount allows you to see how much of your loan repayments go towards interest, and how much goes towards the principal loan amount that you’ve borrowed. This is a good way to see how effectively you’re paying off your loan. This is something that is often overlooked when people are trying to find a calculator to use. A comparison tool is a great resource for those who want to make sure that they’re getting the best deal possible. Some calculators will allow you to compare multiple different loans at the same time. It’s a great way to see side-by-side the differences in cost. It also makes the entire process of comparing much quicker. Keep in mind you can compare with any calculator by simply resubmitting information, but it will take much longer than if a comparison tool is already available. Many calculators will also show graphics for your loan balance and other information. This is a great feature that can help you better understand the progression and cost of your loan. Make sure to try and find a calculator that can provide you with some visuals. Below are some of the most popular calculators on the market. We will overview these calculators so you can get a better idea of which ones are the best to work with. Citizens Bank calculator is unique in that it provides the user with information on whether they will qualify or not for financing. It is a lender based calculator. There is no comparison tool on their calculator, but that isn’t the primary purpose of this platform. You can input your balance, interest rate, and amortization amount. There is no spot for extra fees. On the plus side, there are visuals provided to the user! Bank Rate’s Calculator is an independent calculator that provides you with a basic estimate of your loan cost and payment schedule. You input interest rate, loan amount, term, and monthly payments. You will then be given data on the loan, as well as an amortization schedule. This is a pretty basic calculator, but it’s good for those who want a quick estimate. Calculator.net has a great calculator that gives in-depth analysis and graphics to those who use it. You can input loan amount, interest rate, compounding schedule, term, payment frequency, origination fee, documentation fee, and other fees. This is one of the most comprehensive calculators available, and it is free from the biases often associated with business loan calculators. This is most definitely a good option for certain borrowers. TD Bank Calculator is a lender based calculator that has a pretty basic offering. You input loan amount, term, and interest rate and it calculates your monthly payment. This calculator is slightly deceptive as it doesn’t provide you with other vital inputs that you need to see a real cost of a loan. Take this calculator with a grain of salt. 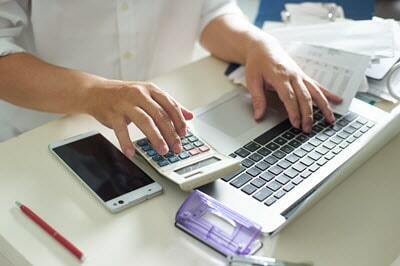 Wells Fargo’s Calculator is slightly different, it helps you determine how long it will take you to pay off your small business loan on a certain budget or payment schedule. Again, this type of calculator should only be used by those who want a basic understanding of their loan. Keep in mind that this is a lender based calculator. The calculator company mortgage calculator has a small business calculator that helps you get an understanding of the cost of your loan. This is an independent calculator so it doesn’t have the same biases that many of the other lender based calculators have. With this calculator, you input you loan amount, interest rate, term time, and amortization term. It doesn’t have input for fees, which means it’s not quite as advanced as some of the other calculators mentioned in this article. This being said, it does provide a comprehensive amortization schedule which is an added bonus. 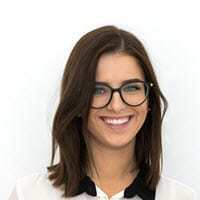 Shopify has a calculator that provides a basic intro into understanding the total cost of your loan. You can input loan amount, interest rate, and term time. The added bonus with this calculator is that you can also input extra monthly payments to see what additional payments would do to your loan balance! Once you have done your research and compared different loans on the market, it’s time for you to make a final decision on financing. It’s important that you make sure to have a full understanding of the total costs that you’re responsible for paying. That’s why you should always ask for a total cost before you make any agreements. Obtaining an official total cost of a loan is the best way to know every cost you’re responsible for paying. As mentioned previously, lenders can be sneaky with fees and charges, so seeing a full cost is often the best way to know the true value of the loan. The lender will have to give this to you if you ask for it, especially if you’re about to sign for financing. Don’t make the same mistake that many Americans make and enter into a financial agreement without fully comprehending the financial repercussions of your decision. After reading this guide, you should have a pretty solid understanding of which business loan calculators to use. Remember to keep in mind that no calculator is 100% accurate, so it’s good to use a few before deciding on which one is right for you. Make sure to consider all the calculators that we’ve mentioned in this article. It’s important that you recognize the different biases in each calculator. Remember, it’s not just about the cost of the loan. You also want to make sure that you’re working with a lender you can trust. Make sure to look up any lender that you’re thinking of working with and ensure they have a good customer satisfaction rating. A business loan calculator should be part of a broad strategy in finding the best loan for your business. Calculating different aspects of business loans can be tricky. We put together this handy guide to answer the questions you have about different loan calculations. We’ll cover general business loan questions, business loan terms, and SBA loans. Use this information to make smart financial decisions that help your business grow. After all, there’s no reason to take on a loan if it’s not going to achieve the goal of helping your business generate a larger profit. This section will answer all of your general business loan questions. Use this information to form a foundation to understand how business loans work. A small business loan is a loan designed to help your small business get started or grow. There are lots of different kinds of small business loans and people use them for lots of different reasons. Every lender has different qualifications for a business loan. You’ll need to check with the individual lenders you’re interested in to understand their qualifications. The best way to qualify for a business loan is to have a sound business plan which shows how the loan will grow your business and enable you to repay the loan. That depends on what kind of loan you’re looking for. If you have a solid business plan and demonstrable experience in the industry, then it can be easy to get a business loan. However, if you don’t have a good plan or lack experience, then it can be difficult. Every bank has their own method for calculating business loans. Additionally, every business loan is different, and needs to be calculated according to the terms of the specific loan. Every lender has different limits on how much they’re willing to loan out. However, there’s no set limit, as long as you can demonstrate your business will use the loan to cover costs and return a profit, then there’s no limit to the loan you can get. There’s no single way to calculate business loan eligibility. 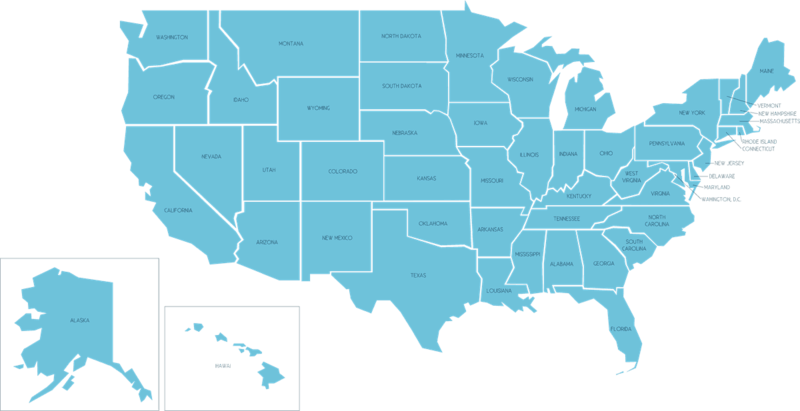 Every bank and lender has their own eligibility requirements. You’ll need to check with the specific lenders to see what their standards for business loans are. SBA loans do require a down payment. The down payment needs to be equal to 10% of the value of the loan that you’re asking for. You’ll also need a credit score of 680 or higher. Loan capital, also known as borrowed capital, is a special kind of capital because it’s borrowed. It can come from a long-term loan or a selling stock. You include it in your working capital equation, but not as debt capital, such as short-term loans, which are different. There’s no single best bank for business loans. The best bank for your business is the one that offers you the best terms on your business loan. Look for banks that specialize in working within your industry, as they’re more likely to understand your needs and the potential upside of the loan. Getting a business loan to start a business can be a challenge. The first step is to develop a detailed business plan. The plan should show how your business will operate and generate a profit to assure the lender you’ll make your payments. It depends on the kind of business you’re in. For many businesses, SBA loans are the best option. These loans have lower interest rates because they’re subsidized by the SBA. That means they’re less risky for the lender. Every lender calculates business loans differently. You’ll need to check with your lender or the terms of the loan that you’re interested in for more information. It’s important to understand the different terms of your business loans. This section will help you understand the different calculations you’ll need to make in order to get a complete picture of how different kinds of loans will affect your business. It will also help you understand how banks and lenders look at qualifications for business loans. Different lenders have different term limits on business loans. You’ll need to talk to your specific lender. Some lenders limit business loans to 5 years, while others may be willing to go as long as 20 years. It depends on the terms of your loan. Some short term loans calculate interest daily. However, most calculate interest weekly. Very few business loans calculate interest annually. The rate you’ll get on a business loan varies by lender. However, you’ll usually see interest rates between 4% and 6% for most loans. The interest rate on a commercial loan changes based on your creditworthiness. The most well-qualified businesses can get rates as low as 5%. Other businesses will pay between 6% and 12%. According to the Small Business Administration, the average loan is about $340,000 for businesses. Most lenders don’t like to make loans less than $50,000 to preserve their profits. Calculating your debt coverage ratio, or DSCR, is actually pretty easy. You take your annual net operating income and divide it by your annual debt payments. Many lenders expect your DSCR to be 1.15 or more. APR stands for Annual Percentage Rate. That means you calculate the APR on a weekly business loan the same way you’d calculate it for any other kind of loan. Divide the finance charge by the loan amount, multiply the result by 365, divide the result by the term of the loan, and then multiply by 100. That depends on several factors. It depends on the interest rate, terms of the loan, and other fees that apply to the loan. You can calculate the interest on a car loan for a home business the same way you’d calculate it for anything else. Divide the interest rate by the number of payments you’ll make in a year and then multiply it by the balance of your loan. It’s simple to calculate payments on your business loan. Multiply the loan amount by your APR, then divide the result by the number of payments you’ll make each year. Calculating your net work for a business loan is easy. Simply subtract your liabilities from your assets. This will tell you how much your business is worth. That depends on the type of business loan you’re considering. Short term loans average 6 months, whereas an SBA loan averages 10 years. The SBA is one of the most common sources for business loans. They provide better terms and interest rates than non-SBA loans. This section has the answers you’re looking for when it comes to SBA loan programs. The 504 loan program is run by the SBA. It’s used to provide financing to buy fixed assets like land, building and machines. An SBA 7A loan is used to purchase an existing business or to provide a business with working capital. That makes it different from the 504 loan, which is used to purchase fixed assets. The maximum SBA loan term is 25 years. However, your business may or may not qualify for the longest term SBA loan. You’ll need to check with your SBA approved lender for more. SBA loan terms are different for different borrowers. An SBA-approved lender can give you more information regarding the terms you can get for your specific business. You can calculate a 504 business loan the same way you’d calculate any other long-term loan. Simply multiple the principal by the APR. Then divide the result by the number of payments you’ll make each year.